A rare winter day in Glacier National Park! There are very few days during the winter where you are treated to a cloudless sky as seen in this photo. 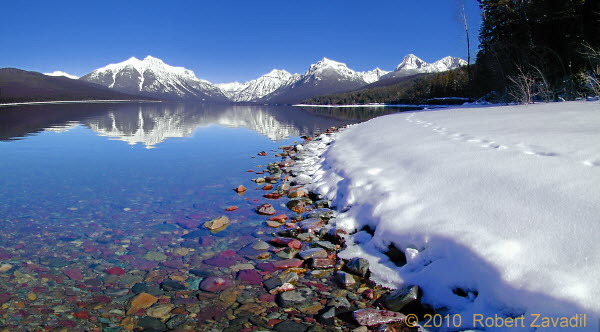 However, on those rare days it behooves one to grab skis or snowshoes and take in the stunning mountain vistas around Lake McDonald.